Oh how I love spring in the South. Just a few weeks ago it was bitterly cold. 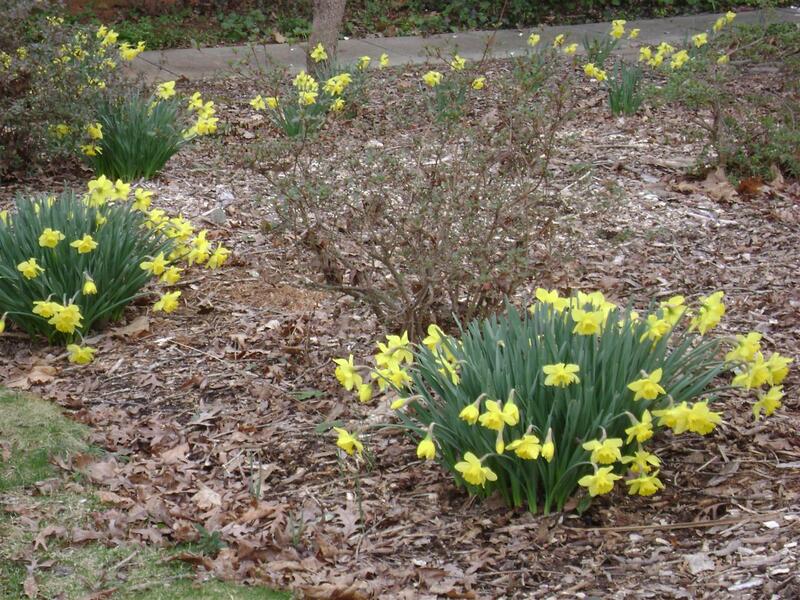 The sea of daffodils in my yard struggled through it and gave their usual beautiful show. When I went out of town two weeks ago, the daffodils were on their way out and things were looking a little bare. When I came back 3 days later – Wow! 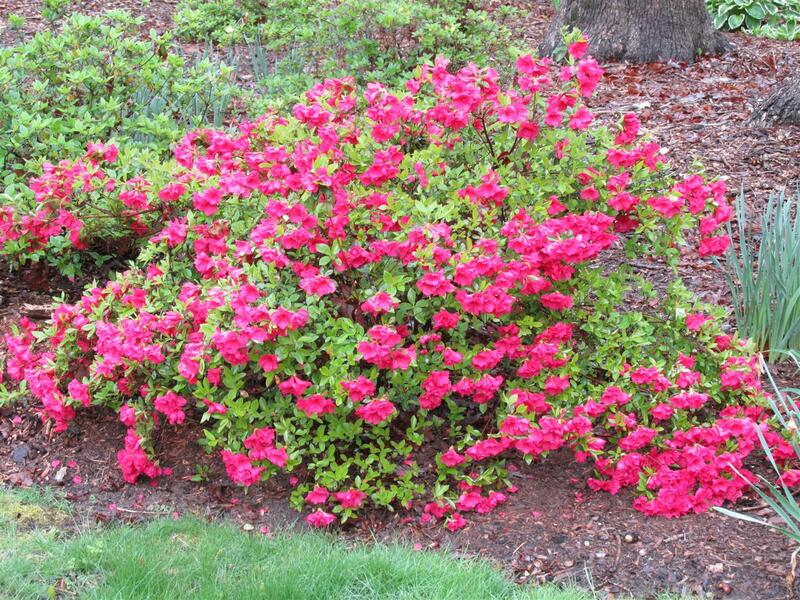 The azaleas were beginning to bloom and perennials had shot out of the ground almost fully grown. 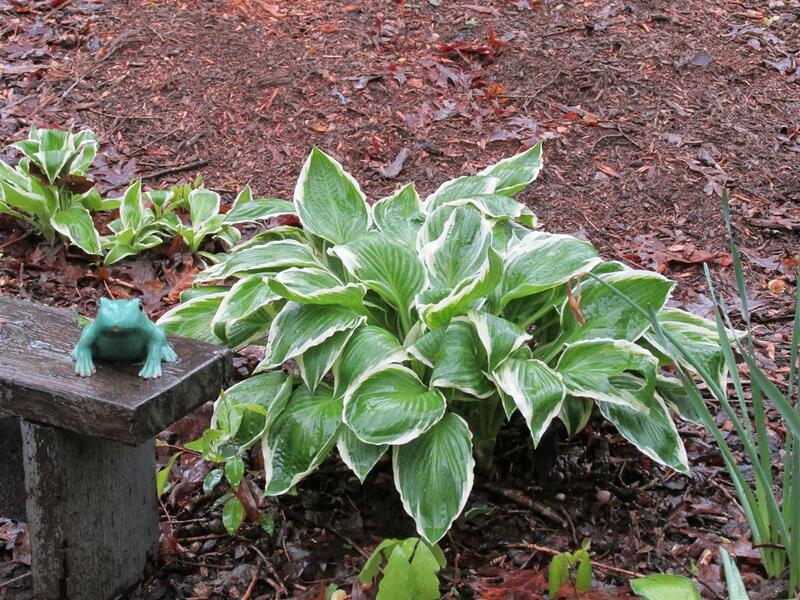 The ferns sprouted up, the trees were leafing out and now, for Easter, everything is just so beautiful! A little bit of a switch on creativity – some Easter fun. 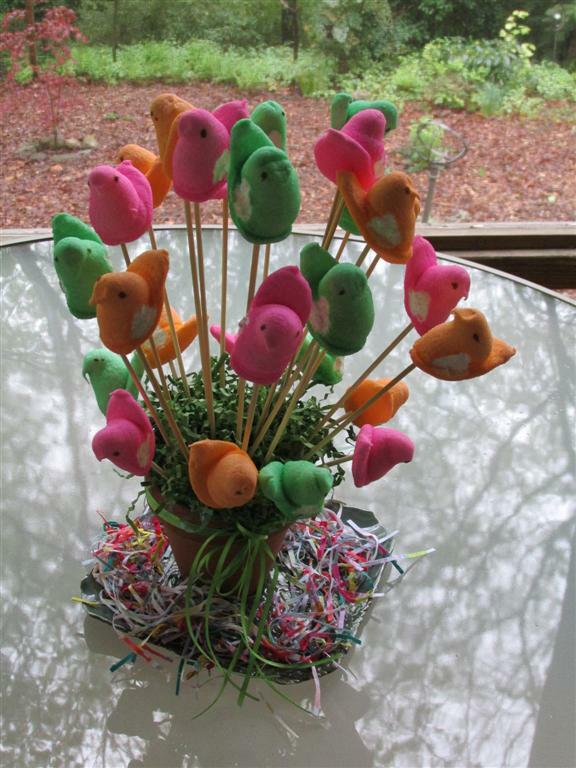 I stuck Peeps with skewers and placed them the little flower pot with Easter grass. The colorful little strips at the base are fabric cutting when I squared up some blocks. Fun and colorful. I’m working on a batik scrap quilt. Blocks are done and I’m doing the piecing, but no pics yet. Monday is a holiday for me so I plan to finish it then. Posted in Art, Fabric, Quilting and tagged Easter, flowers, garden, Quilting, Scraps. Bookmark the permalink. Ok, now that is super cute! Peeps on a stick, coming to your nearby carnival soon! Deep-fried!